I love lemon curd! This looks perfect enough to eat by the spoonful. I bet homemade lemon curd is wonderful! I love almost anything that Ina Garten makes. Huum I also love the lemon curd!! Thanks everyone! I hardly can believe how good this turned out. This recipe is perfect for me. I'm also a lemon curd lover. I'm discovering your so nice blog. Everything is great, especially the photos. I noticed you are a digital photo professor. It's what I need just at this time. I come from Switzerland and here these kind of lessons are rare and of bad quality. I've hit a jackpot with your post! I've just begun searching for lemon recipes and look you've given me this one to try out. And, now I see your links for more lemon recipes. Whoo-hoo! Thank you! 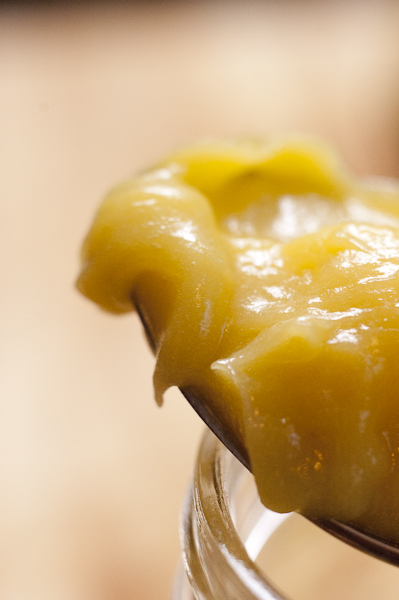 Seriously, is there anything better than lemon curd? Maybe lime curd. Or lemon curd in cookies or pies. But I agree, I can't get enough of it. This jar is almost gone…I've literally been shoving spoonfuls into my mouth! I have always wanted a really good recipe for lemon curd. thanks. Looks lovely! It has been a while since I made some for my kids. They love lemon curd. Love the photo, the close-up of the curd on the spoon. Lemon curd is always on my tea table, it's a must! This is similar to the recipe I devised long ago and always use, except I sometimes use a few whole eggs along with extra egg yolks. Too much egg white in a curd is not a good thing. When I get around to posting my lemon curd, I'll need to take a photo and YOUR photo will be my shining example! I make my own Greek yogurt. And I love anything lemon. I make the lemon curd and put a dollop into my yogurt. So good! 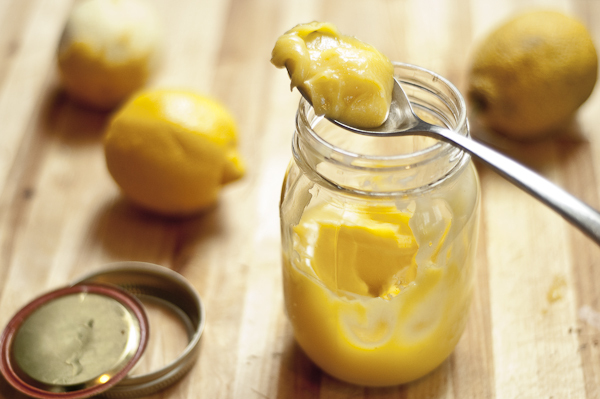 I'd really like to try this recipe…once made, how long will the jar of lemon curd keep? Thank you for sharing… I was looking for an delicious and easy lemon curd recipe to make for trifle that I will be bringing to Christmas lunch. Thank you for your recipe! I'll let you know my trifle turns out. This was really nice, I liked using the egg yolks rather than whole eggs – but it was a little too sweet for me (I'm English and I like my lemon curd tangy and very lemony!) so I think I will adapt the brilliant Nigel Slater recipe (http://www.guardian.co.uk/lifeandstyle/2010/mar/07/nigel-slater-lemon-curd-recipes) to use all egg yolks instead. Yum. Thank you for the idea! Also your photography is amazing!